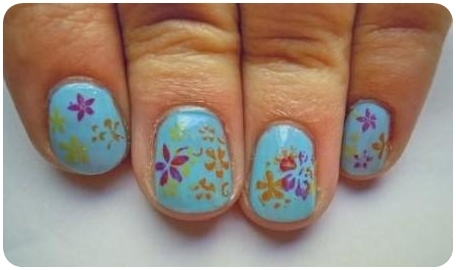 I applied Artdeco 94 as a base color and then used the essence stamping set to create the flowers. I layered essence 23 sundancer (yellow), essence 09 get the fever (orange) and Chanel 74 kabuki to get a colorful design. Have a fantastic Saturday ladies! !